The mission of Hope Mission Ministries is addressing the needs of poverty, homelessness, and substance abuse in Carteret County. At Hope Mission, we believe that homeless folks and those that are on the edge or have substance abuse issues have lost their sense of identity. Much of the time that loss of a sense of identity is because of the disconnection from family and community. These folks feel as though they are standing alone against the whole world. And they become discouraged from thinking that life can ever be any better. They lose hope. At Hope Mission, we do everything we can to give them back that sense of belonging. We believe this is vital to their ability to transition back to the full and rewarding lives God intended them to live. 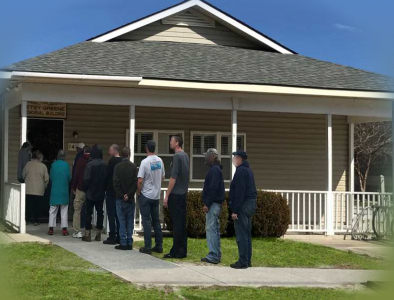 Faith and Victory Church started Hope Mission Soup Kitchen in January of 1990. The church members recognized a need in the community and had a desire to fill that need, by providing hot meals for anyone that needed one. April of 1992 – Hope Mission purchased the building at 1412 Bridges Street with the assistance of local charitable organizations, churches, businesses and private individuals. 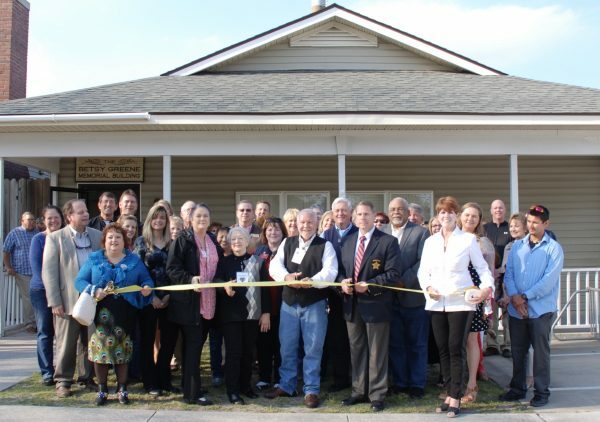 Habitat for Humanity remodeled the building at 1412 Bridges Street and built the building at 1410 Bridges Street, where the Soup Kitchen is currently. Nearly 30 years later, Faith and Victory Church is no longer around. But at Hope Mission, we work every day to model and honor their example. Hope Mission Soup Kitchen: Hope Mission is still financed largely by contributions from businesses, individuals, civic groups and churches. It truly is a “whole community endeavor”. A Board of Directors oversees this ministry and Gene McLendon, our Executive Director keeps things running smoothly on a daily basis. Over the years, Hope Mission has expanded to fill more of the needs of the community. Currently, Hope Mission operates a Men’s Homeless Shelter, a Women’s Homeless Shelter and a Soup Kitchen. Other members of the Hope Mission family include the Hope Mission Thrift Store, which helps provide funding for the shelters and kitchen and Hope Recovery Homes, a very successful drug and alcohol recovery program.